Police in Iganga District are investigating circumstances under which a female police officer collapsed and died in a bar. Ruth Nangobi, 58, attached to Iganga Police Station, collapsed on Tuesday evening while reportedly drinking with friends in a bar in Iganga Town. A police officer who spoke to Daily Monitor on conditions of anonymity because they are not authorized to speak to press, said her colleague collapsed as she was returning from the bar’s washrooms. “We were boozing together before she decided to go for a short call. However, on her way back, she slid and collapsed,” said the police officer who also declined to name the bar where the incident happened. The officer added that her colleague was first rushed to Iganga Municipal Council Health Centre III but her condition could not be managed and had to be rushed to Iganga Hospital where she died. 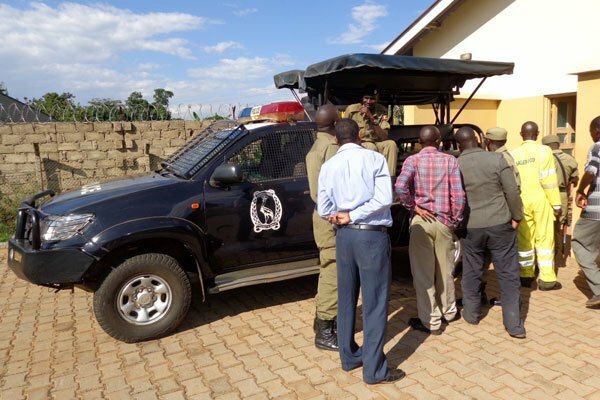 The Busoga East police spokesman, James Mubi, confirmed the death of the officer, saying she was a barracks guard attached to Iganga Police Station. “At the moment I cannot tell you much about the incident but can confirm to you that she died and we are investigating,” Mr Mubi said. By press time, the deceased’s body was lying in Iganga Hospital mortuary awaiting an autopsy.